Gov. Evers supports legalization of marijuana, what's next? Planned Parenthood of Wisconsin’s new legal effort to strike down some abortion damaging restrictions. 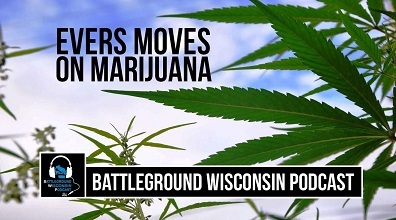 STATEWIDE - We welcome Eric Marsch, Citizen Action of Wisconsin co-op leader and executive director of Southeastern WI NORML, to discuss news that Tony Evers supports legalization of marijuana. Evers announced this week that as a first step to full legalization he will include medical marijuana in his state budget. We discuss the junk GOP pre-existing conditions bill that is moving with lightening speed through the legislature, which is much worse than doing nothing. The panel also reviews Planned Parenthood of Wisconsin’s new legal effort to strike down some abortion damaging restrictions on women's reproductive health, and looks at the growing negative impact on Wisconsin of Donald Trump's government shutdown fiasco.